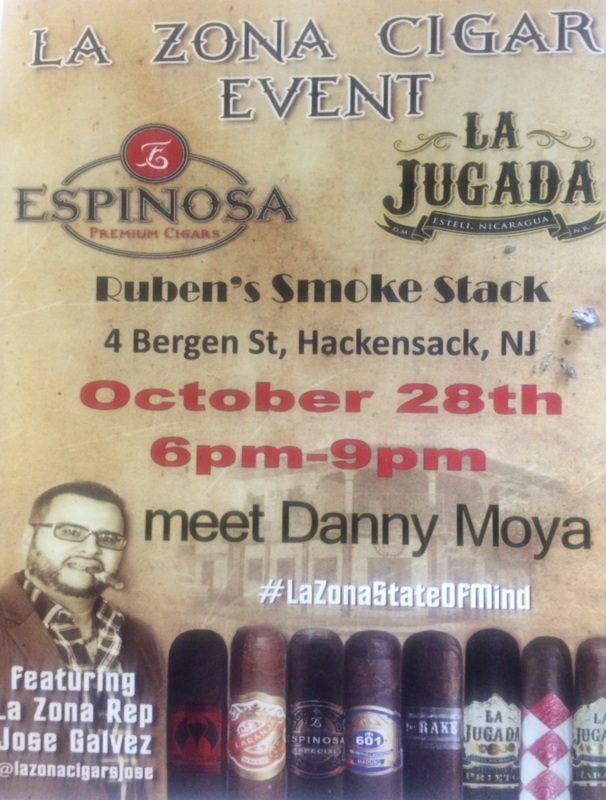 Description: Join us for La Zona Cigar Event with Danny Moya and Jose Galvez! Stop by to enjoy friendly atmosphere and great camaraderie !!!!!! 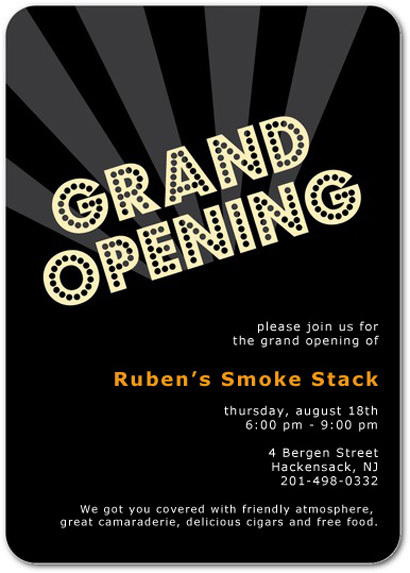 Ruben’s Smoke Stack is MOVING !!! MAN CAVE MONDAY!!! Join us for a complimentary high-end “WET SHAVE EXPERIENCE.” Call today to reserve your space for your HOT SHAVE. We will demonstrate the best shaving techniques, using all natural and organic ingredients to assist you with protecting, preserving and caring for your skin! 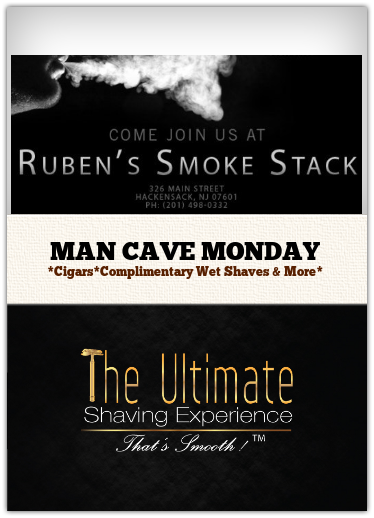 We will provide wet shave information and skin care tips. Looking forward to a great smoke and a great shave! We ask that you please RSVP. Description: We greatly appreciate your loyalty. It means a lot to our business. 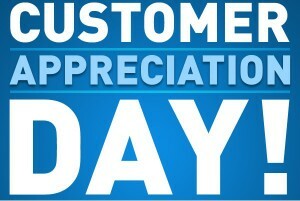 Please join us for the Customer Appreciation Day. 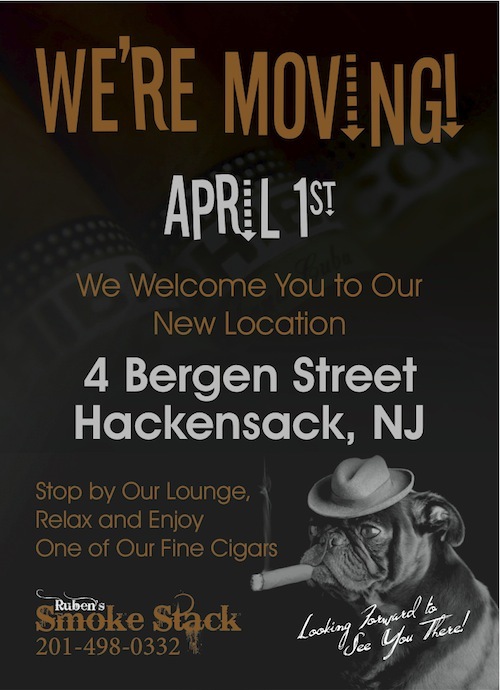 We got you covered with friendly atmosphere, great camaraderie, free food and even some free cigars. This is our way of saying Thank You for your support.